Apple has released iOS 10.3.1 download for compatible iPhone, iPad and iPod touch devices. The new update brings security improvements. 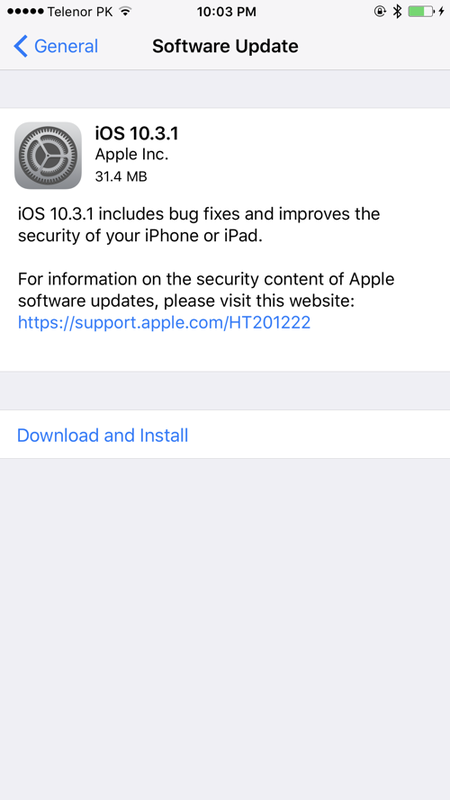 Apple has released a small update for iPhone and iPad users around the globe that focuses strictly on fixing and improving security of devices, nothing more. The full changelog of the update is as follows. As you can see, not much has changed, but this doesn’t mean you skip on the update. In order to proceed with the download over the air, launch the Settings app. After that, navigate to General > Software Update. Once done, simply tap on the Download and Install button. The update will take no more than a few minutes to download with your device requiring a restart in order to complete the installation. Apart from the above-mentioned route for updating your device, you can go ahead and install firmware updates from scratch. This means you will lose your data but will be left with the fresh copy of the OS on your device. For more details, check out the following tutorial: How to Download iOS Updates Over the Air (OTA) or Using iTunes. 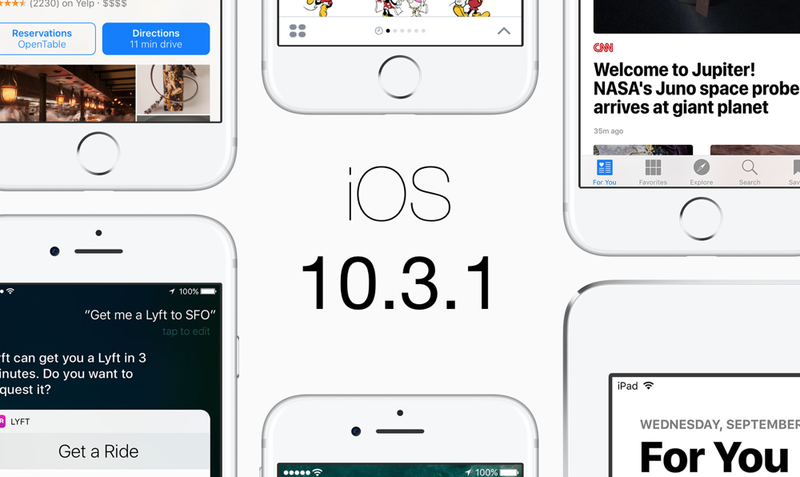 If you are looking for direct download links for iOS 10.3.1, then you have come to the right place. Simply find your device in the list below and click on it, which will initiate the firmware download for that particular iPhone, iPad or iPod touch. Since this is a small update, therefore I don’t recommend performing an iTunes restore for a fresh start. Until or unless you are long overdue for a fresh install of iOS, only then you may go ahead and take the iTunes route for installation. Don’t hesitate with this one, folks. Any security update is wonderful to have right now. Apple has now published the release notes, and it appears that the release is fixing a critical security vulnerability. “An attacker within range may be able to execute arbitrary code on the Wi-Fi chip,” Apple wrote in its security bulletin.